Is Stress Connected to Gum Disease? Stress can be detrimental to your health in a variety of ways, but did you know that it could be potentially affecting the health of your mouth? According to researchers in Brazil, it's true, and managing your stress could help to protect your mouth. Medical researchers recently examined previous studies conducted from 1990-2006 in order to ease if psychological factors and negative life events contributed to an increased incidence in gum disease. This review found that 57% of the studies indicated an association between stress, loneliness, depression, and anxiety with gum disease. It is suspected that cortisol - which is a hormone that the body produces in high levels when stressed - could be a contributing factor. If cortisol is causing the body's immunity to lower, it could make it more susceptible to developing gum disease. That's not the only way that stress can affect oral health. The same researchers hypothesized that when individuals are stressed, they are more likely to engage in behaviors that could promote gum disease. This includes eating unhealthy foods, failure to properly care for their teeth, and smoking. The major takeaway from the study is that to protect your oral health, you should work to minimize your stress level. 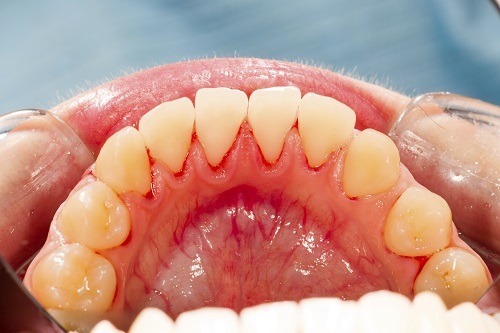 If you are worried that you are showing the signs of gum disease, call our office today to set up an evaluation today.